As it turned out Nehruji’s 100th birth anniversary had to be celebrated by the Government of the day with hardly any citizen participation, while Dr. Hedgewar’s anniversary became a citizens’ event with celebrations by common people across India in all the nooks and corners of the country. 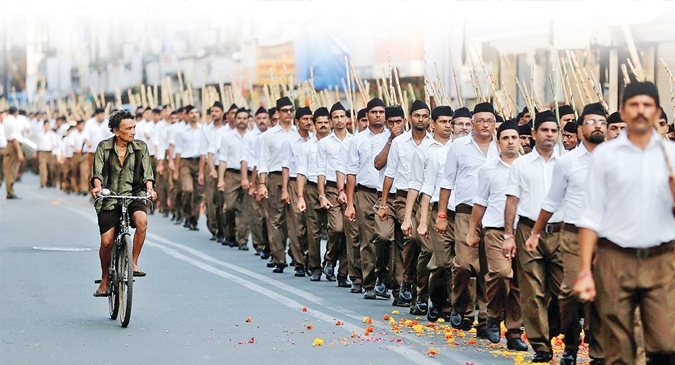 Not only that a whole new activity was added to RSS work – Sewa. The target was 1000 sewa (or social service) projects. It spawned more than 1.70 lakh sewa projects. I have quoted this episode not to compare the two, but to bring out a totally different approach of Dr Hedgewar to public policy and the r.ole of politics in public life. Dr Hedgewar’s decision to abandon politics but still remain engaged with it at a different plane was his specialty. RSS has followed this guideline over the years. Dr. Hedgewar entering Minerva theatre at Pune for the release of a movie ‘Bhagwa Jhenda’ (Saffron Flag). 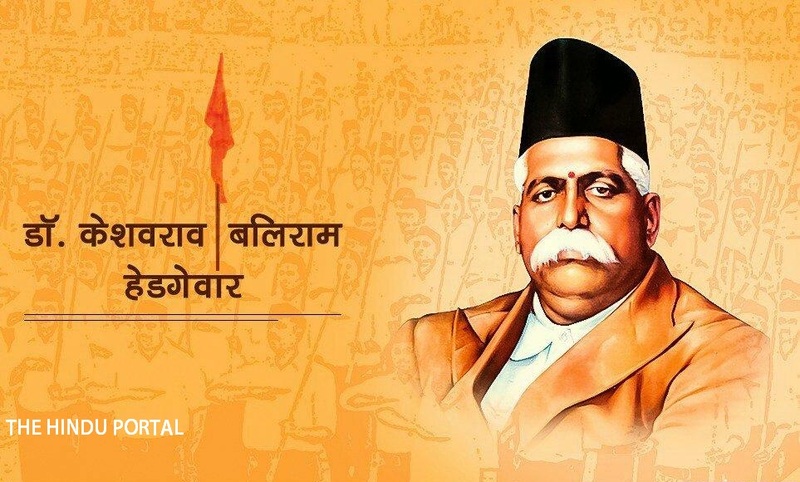 Plays and movies were also important instruments of mass awakening during the Freedom Struggle By now, it is generally known to people who follow RSS and do some reading that Dr. KB Hedgewar was a highly committed, fervent patriot from his young age. While in Kolkata he worked with revolutionaries. In 1918, he joined Congress and took part in the 1920’s Savinaya Avagya Andolan (non-cooperation movement) and went to jail. He also worked as editor to a Congress weekly and went from village to village to raise subscriptions. Even after founding RSS, he joined the Salt Satyagraha via Jungle Satyagraha in 1930. He again went to jail. In all, he spent 19 months in two jail terms. He sent out a circular to RSS shakhas to celebrate January 26, 1930, when Congress passed a resolution for complete freedom in December 1929 and asked the swayamsevaks to celebrate January 26 in shakhas complementing Congress for its stand on complete freedom. (For a summary of his work, you can refer to my new book ‘The Sangh & Swaraj). There was no sense of competition or jealousy. He pondered over the experiences around 1920 he had in Congress and in jail. He saw the fractious behavior of the Hindu society to every issue, where it would get divided on caste, language, regional issues and saw its meekness in the face of aggressive behavior of Muslim society during Moplah violence post-Khilafat failure. He had faced similar incidents during that period in other parts of the country too. He realized that the main cause of a great successful society suffering ignoble defeats against waves of invaders in spite of sustained resistance to these invaders was lack of unity and pride in our nation. These weaknesses need to be removed. Once the majority of the society, namely Hindus, become united other things would fall into place. Independence would be easy. This thinking led to the formation of the Rashtriya Swayamsevak Sangh in 1925. It was a long term project of creating a modern structure for uniting Hindu society that was busy only in personal salvation or moksha but had no collective ambition or vision for the nation. It was a never attempted effort. It was a structure devoid of religiosity but dedicated to the upliftment of the society and the nation that was visualized as Bharatmata in all round sense. He could have risen in Congress party very easily after his sterling work during 1920 Congress plenum in Nagpur, but he chose to sacrifice his political future at the altar of a higher objective. For keeping the focus on long term objective he decided to stay away from politics. His long term vision was a united Hindu society that would bring in Independence in its wake, for which it needed an organized and disciplined force. Whenever the need rose, swayamsevaks would take part in the freedom struggle, but as citizens, under the flag of Congress, the unanimously accepted organization for independence struggle. When Hindu Mahasabha expected it to work under it as a voluntary organization who did the routine work of laying durries and managing arrangements in their sessions, he did not agree. When Hindu Mahasabha asked him to keep away from Salt/Jungle Satyagraha movement in 1930, he refused. He himself went to jail, but he in his lecture before going to jail and after returning, he also said that going to jail by itself was not the only desirable activity. A person could do a lot, staying outside the jail. He left it to individuals to decide their action. 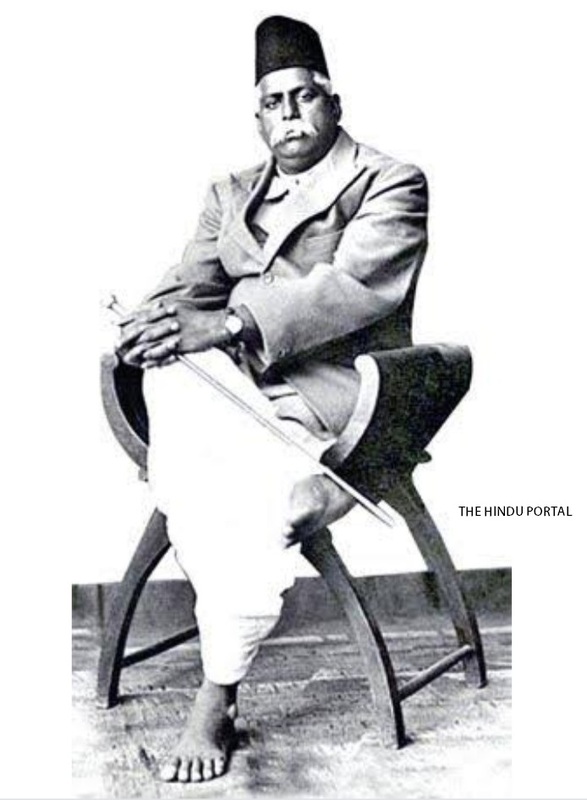 Dr. Hedgewar had excellent relations with politicians and leaders in the entire political spectrum. From a Communist like Ruikar to his estranged, one of the founding members of RSS, Balaji Huddar who had turned Communist after participating in Spanish civil war, to Congress and Hindu Mahasabha leaders. He conferred with them, brought them to RSS Shakhas and camps to persuade them to be part of this movement. Not all agreed but some did become active members of RSS. For him, politics was a means to a higher goal, not a goal by itself to reach a position of power. Thus, for Dr. Hedgewar, politics was not untouchable, neither was it a complete solution for nation-building. He believed the man-making project must transcend all this. This same attitude saw RSS swayamsevaks getting involved in 1930 and 1942 movement but under Congress umbrella again, not in the name of RSS. Dr. Hedgewar believed that RSS was not an organization outside the society but was an organization of the society. During horrendous days of pre-independence, Partition-related period, RSS played the savior to the Hindu-Sikh society but always co-operated and helped Congress. But, when Sardar Patel suggested that RSS could serve the nation by being part of Congress, Shri Guruji as Sarsanghachalak refused to align with this idea. It was during the post-Gandhi assassinations and ban on RSS days, many young colleagues of Shri Guruji suggested that RSS should form a political party when they saw that no political party came out to support it though there was no evidence at all of its involvement in Gandhiji’s assassination. 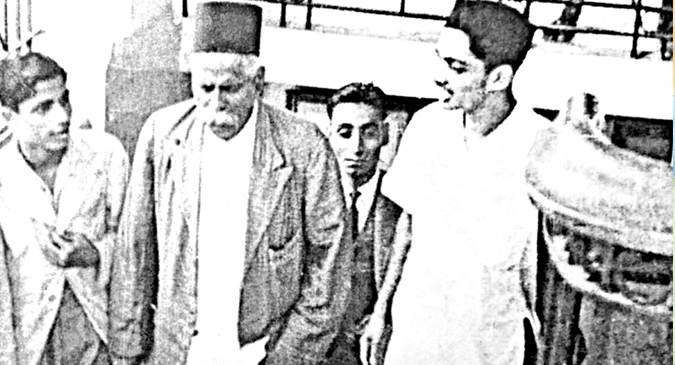 He relented later when Dr. Syama Prasad Mookerjee sought his cooperation and his colleagues persuaded him to do so. He gave hand-picked RSS Pracharaks to Dr. Mookerjee for Bharatiya Jan Sangh. He suggested Deendayal Upadhyaya to come up with an alternative political-economic thought to the two dominant western ideas of Capitalism and Socialism. This saw the birth of philosophy of Integral Humanism or Ekatma Manav Darshan. Guruji, imbibed with Dr. Hedgewar’s thoughts too saw politics as just one of the many facets of social life. And he reminded RSS swayamsevaks time and again that politics alone can’t be the answer to all issues in a democracy. Every section of society must contribute to nation building. He criticized the government for accepting takeover of Tibet by China, criticized lack of preparedness in 1962 Chinese aggression. But, then he advised swayamsevak families to do all they could to support the defense forces. When Pt Nehru invited RSS for 1963 Republic Day parade, the organization participated without reservation. Though RSS was on the other side of bitter confrontation on Cow Protection movement, RSS supported the 1965 war as well as the 1971 war. RSS karyakartas supported four opposition candidates in by-elections against Congress in 1969. Three of them won. It was to be the model of cooperation within opposition parties. But, beyond this, RSS showed no interest in politics. Direct brush with politics was closest in 1974-75 when Shri Balasaheb Deoras supported Anti-corruption movement of Shri Jai Prakash Narayan. In a courageous move, he let Jan Sangh merger into Janata Party in 1977 before elections. But, after shenanigans of Socialist group, Jan Sangh exited Janata Party to form Bharatiya Janata Party (BJP). RSS kept itself aloof from day to day politics again and gave BJP space to grow and create its own cadres. Some Pracharaks did join BJP, but RSS did not control BJP. It only gave advice when sought. BJP is invited for the affiliates’ coordination meetings like all other RSS affiliated organizations, but the ultimate political decision remains with BJP. Thus, the distance between day to day politics and national good was kept. BJP itself has become such a huge organization that it is but natural for RSS to give it space and keep a healthy distance. Keeping in mind, the mantra that politics is just one of the many fields of social action RSS has kept itself busy with its man-making mission and the vision of a reformed Hindu society. The appeal for 100% voting in 2014 by RSS Sarsanghachalak Shri Mohan Bhagwat and strong on-field follow up was more as a duty towards the nation, than an appeal for any one party. He has asked RSS cadre to work towards 100% voting this time around too. It is a balance that is not easy to maintain but RSS has been successful so far.